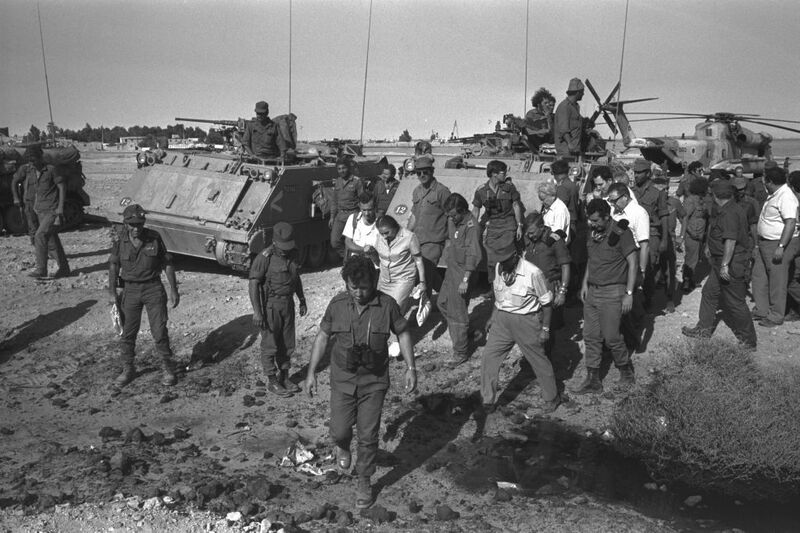 Forty years after the Yom Kippur War, an eventually triumphant campaign that cost over 2,500 Israeli lives and left an enduring scar on the national psyche, Israel on Thursday released Prime Minister Golda Meir’s long-classified testimony from the commission of inquiry that investigated the actions of the military before and during the early stages of the war. She categorically denied that the upcoming national elections, slated for late October 1973, had anything to do with her pre-war hesitation in summoning the reserves. “My knowledge of Hebrew is insufficient to find the parliamentary words to reject this,” said the Russian-born, US-raised prime minister. Had Israel fired the first shot of the war, Meir testified, the US would have claimed “you started” and, based on her knowledge of the Pentagon, she continued, “I can say with 100 percent (certainty)” that the airlift of arms and supplies would not have been delivered. Israel received 26,000 tons of crucial supplies during the war, Meir noted, including 40 Phantom and 53 Skyhawk fighter jets. “Ask me now how I would have done such a thing, I don’t know. But out of desperation, when something dramatic must be done in order to move them,” she had suggested leaving the country, she said. The war itself, a stunning military victory, which ended with Israeli forces in control of more territory than at the onset and perched a mere 30 and 50 miles from Damascus and Cairo respectively, nonetheless rattled the Israeli public and shattered the notion of invincibility, which had bloomed in the aftermath of the six-day victory achieved in 1967. Angered by the price paid in blood and shaken by the accomplishments of the Arab armies during the early days of the war, when the Bar-Lev Line crumbled in the south and Syrian tanks tore through the meager Israeli forces on the Golan Heights, the public demanded a national commission of inquiry. 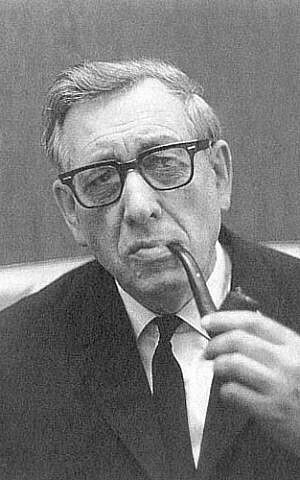 The five-person commission, headed by Chief Supreme Court Justice Shimon Agranat, released its initial finding in April 1974, six months after the war. 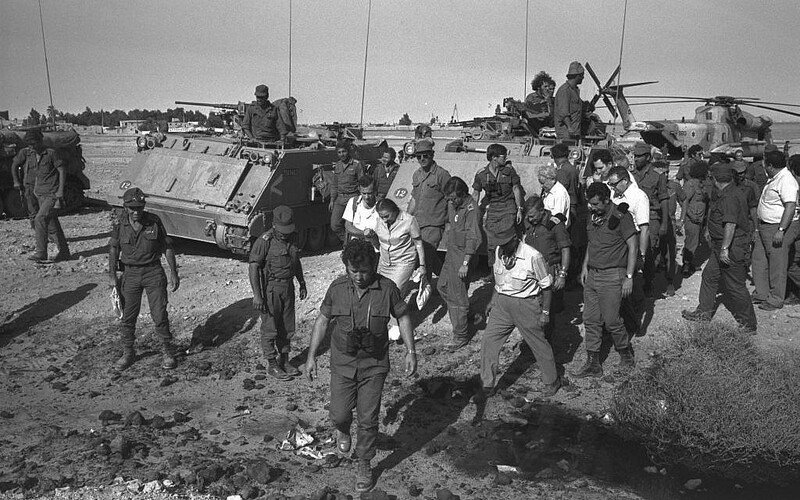 The members of the commission, which included Supreme Court justice Moshe Landau, state comptroller Yitzhak Nebenzahl and former IDF chiefs of the General Staff Yigal Yadin and Haim Laskov, called for the heads of five officers, including Elazar, who died two years after the publication (age 51), but cleared Dayan and Meir of all direct responsibility. 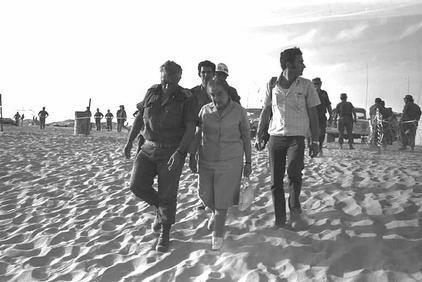 Nonetheless, one week after the commission’s preliminary report was published, in April 1974, Meir stepped down, saying she could no longer ignore the swell of public ire. 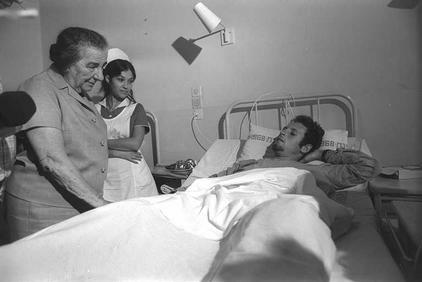 The commission focused on two main issues in its February 6, 1974, questioning of the prime minister: her reaction to the aerial battle between Israeli and Syrian planes on September 13, 1973, and her subsequent preparations for war. On that September day, Israel, in what is largely seen today as an ambush, sent a pair of IAF Phantom fighter jets into Syrian airspace on a photography mission in the north of the country. As the Israeli jets concluded their mission, rising up to a detectable altitude, Syria dispatched more than a dozen MiG-21s to engage the Israeli jets over the Mediterranean. Israeli planes hovered low, waiting for them, and in the dogfight that followed the IAF downed 12 Syrian jets and lost only one, with the pilot emerging unscathed. The following day’s papers, and Meir’s testimony, put the score at 13-0, and the result was seen as evidence of Israel’s military superiority. The following Sunday, at the weekly cabinet meeting, Meir said, the defense minister and the chief of the General Staff were asked “what we could expect, what was reasonable” in the way of a Syrian reaction. Commission member Yigal Yadin, a former IDF chief of the General Staff and Dead Sea Scrolls scholar, asked the prime minister why it was “logical” to assume that after a bruising defeat Syria feared another Israeli strike, rather than the more natural explanation that the Syrians were readying themselves for retaliation. They met the following morning, along with Elazar, Brig. Gen. Shalev and IAF commander Benny Peled. The members of the commission had a copy of the minutes of the meeting and did not ask Meir any specific questions about it. She volunteered that all parties were in agreement about the unlikelihood of immediate war; that she decided to summon Elazar and the head of military intelligence, Maj. Gen. Eli Zeira, to the first cabinet meeting after Yom Kippur; and that, in the interim, she decided “to focus on one thing” — narrowing down the Israeli military wish list from the US and pushing for its urgent delivery. The following day, Zeira, the strongest advocate of “the concept” that the Arab armies would not dare attack Israel, informed the prime minister that he had a piece of news that “could be worrying”: the families of the Russian advisers were leaving Egypt. The source, Ashraf Marwan, former Egyptian President Gamal Abdel Nasser’s son-in-law, had told his Mossad handler that Egypt would wage war on Saturday, Yom Kippur. In fact, throughout her testimony she scoffed at her own understanding of military affairs. She described herself as “glad” about that decision. 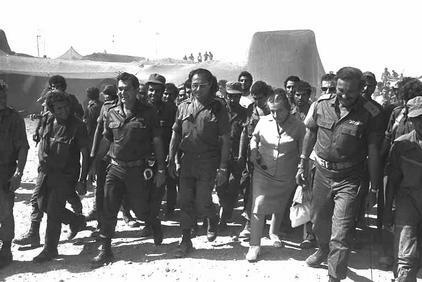 Landau remarked that had this information been passed on properly to the entire government – Meir already knew – it would have given the situation “an entirely new shade of urgency” and that some of the former generals in her cabinet might have sounded the alarm. At two p.m., the Syrians and the Egyptians opened fire in a devastating, coordinated onslaught. Meir’s testimony, over 100 pages long and given in the course of a single day, does not touch on her handling of the war, which was considered to have been very solid under very trying circumstances. “We’re not touching on that?” she asked the commission. The answer, which she already knew, was no.